To cover flower arranging materials you will receive in the workshop. 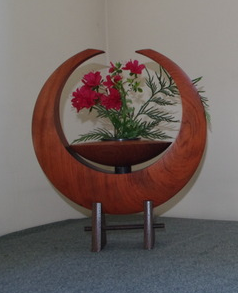 The Way of Flowers: bringing nature into your home with art of Japanese inspired flower arranging. 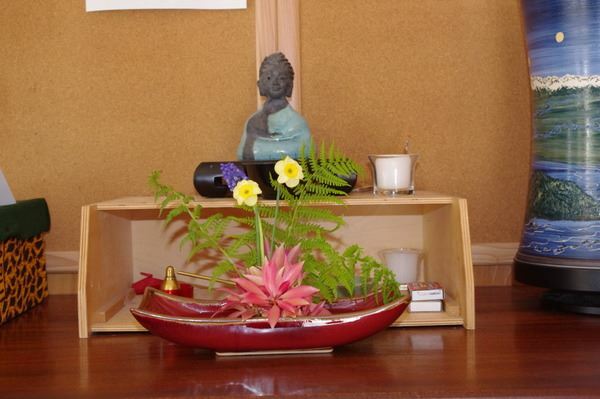 Bring nature into your home with the art of Ikebana; “The Way of Flowers”. As you touch the endless beauty in our lives; learn how simple guidelines and a little practice can assist you in creating inspiring floral arrangements. We will explore how we “feel” about the lines of nature, how “less is more”, and how open space allows our eye to follow the natural lines of nature. You will learn to relax, allow self-judgement to drop away, and trust yourself and your inner-connection to nature. There is “no wrong way” when we practice “The Way of Flowers”. Each arrangement is unique and perfect in every way. Just like you! a towel in your car in the event of a water spill. 2. One small shallow bowl: like a pasta bowl or small bowl-like vase. Don’t have one? No problem, one will be provided for your use. • You will complete 2 arrangements in class to take home, and if there is time in class we will do a 3rd arrangement. • We will be sitting on chairs most of the time, but some may choose to standup during the workshop. • If you have an interesting rock, piece of twisted wood, or a tree branch; bring it with you. Keep the size within reason and something you can easily carry.